Acadian Genealogy Homepage; Acadian World Congress - 2014 - The region of Acadia of the Lands and Forests including Maine, New Brunswick and Quebec. The 2014 World Acadian Congress will be take place from August 8 to 24, 2014. The opening ceremonies will be held in northwestern New Brunswick on August 8, the Acadian National Holiday will be celebrated in Maine (USA) on August 15, and the closing ceremonies will be held in Témiscouata, Quebec, on August 24. The major events of the CMA 2014 will be presented on these three dates. Each in turn will showcase one of the three host sub-regions that make up Acadia of the Lands and Forests. 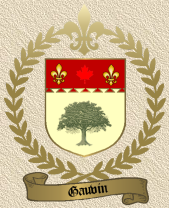 As in the past, I am available to conduct "free" Acadian Genealogy Seminars to those Family Reunions being held in the general area of Edmundston, New Brunswick and Madawaska, Maine. 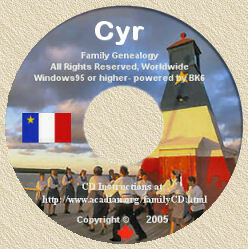 As some of you are aware, I conduct these Seminars on a no-charge basis to the Organizers, on the basis of you advertizing the event, providing appropriate location and receiving your approval to promote my Genealogy CD-ROMs [ Summary at http://www.acadian.org/family.html ]. This offer is made on a first-come-first serve-basis so, please contact me via email at your earliest opportunity, in order to confirm your request. ST. DAVID - Leaders of the CMA 2014 were at the Acadian Cross Landing Site in St. David Wednesday for the announcement of 28 new families that will take part in the 2014 World Acadian Congress family reunions. To date, a total of 89 families have registered, and 48 of these families are from Maine, according to CMA 2014 Maine coordinator Lorraine Pelletier-Marston. From left, above, are Maine International President Jason Parent, along with Émilien Nadeau, president of the 2014 World Acadian Congress' Organizing Committee, and Leo-Paul Charest, executive director for CMA 2014. Edmundston (N.-B.)  The 2014 World Acadian Congress is being organized thanks to Canada, New Brunswick and Quebec governments. Today, the Associate Minister of National Defence and Minister of State for the Atlantic Canada Opportunities Agency and Francophonie, Bernard Valcourt, New Brunswick's Prime Minister, David Alward and the Minister of Health and Social Services for Quebec, Dr. Yves Bolduc, announced their support to the 2014 CMA, with a total investment that exceeds eight million dollars. This morning, at Saint-Basile Great Upheaval Memorial (N-B), Minister Valcourt announced the federal investment of four million dollars. "Job creation and Canada's economic prosperity are our government priority. Our investment will help the 2014 World Acadian Congress in promoting at international level the Madawaska region as a major tourist destination where economic development is at the forefront." Prime Minister David Alward added to that an investment of more than two million dollars from New Brunswick government. "We are pleased to contribute to this unifying event which will help in promoting Acadian regions but also the province of New Brunswick as a whole", declared M. Alward. "The World Acadian Congress is a major international event which will permit to stimulate the tourism industry and to create opportunities for a better economic growth and a greater prosperity in Madawaska region. Today, thanks to the announcement, we are all partners for the economic growth." In Dégelis, Minister Bolduc ended this morning by announcing the support of the Quebec government, amounting to two million dollars. "I am proud of our government support for this big event which will take place, in part, and for the first time, in Quebec. Uniting Temiscouata, northwest of New Brunswick and the North of the state of Maine, Acadia of the Lands and Forests territory is a region inhabited by diverse populations who share French language for more than 90 %. The economic benefits for Temiscouata region and its vicinity will be huge and I am pleased about the coming of representatives of several countries and tens of thousands visitors in the region." The President of the 2014 World Acadian Congress' Organizing Committee, Émilien Nadeau, is glad about the cooperation of the different governments towards this international unifying event. "Our government authorities' collaboration is essential in the organization of such a Congress. We are proud that the government of Canada, New Brunswick and Quebec join their efforts to the 2014 CMA's Organizing Committee, allowing us to promote Acadian pride within our communities and all over the world." Edmundston (NB) - The renowned travelling exhibition, ArtCADIE is touring in Acadia of the Lands and Forests in the coming months. This prestigious visual arts exhibition brings together works by thirty-two professional artists and reflects the culture, history and Acadian life through time. It will be presented in thethree regions that constitute the Acadia of the Lands and Forests, host of the 2014 World Acadian Congress. From October 5th to December 2nd - Gallery Colline at the University of Moncton, Edmundston Campus in New-Brunswick. With ArtCADIE, artistic expression takes the environment of the maritime, agricultural, riparian, islands or urban landscape to tell its "acadienneté". The artists' origin is diversified: New-Brunswick, Nova Scotia, Prince-Edward-Island, Iles-de-la-Madeleine and Gaspésie. Their works were selected after a competition, inviting them to submit a creative painting or sculpture project by the theme "Visions of Acadian Space". Works of a guest artist from Louisiana and works from the Acadian artist Nérée DeGrâce are also part of the exhibition. Created in 2004 in commemoration of the 400th anniversary of Acadia' founding, ArtCADIE is the result of the association between the Acadian Museum in Bonaventure Quebec, the Acadian Festival of Caraquet and the Marine Musuem of Iles de-le-Madeleine and Celebrations Canada. The exhibition has already been presented in Normandy, Britain, France and in several places in Canada. Host municipalities for the first major events are revealed! Edmundston, NB - The 2014 World Acadian Congress is proud to announce the host municipalities for the first six major events of its programming as the Congrès Mondial Acadien prepares to resonate throughout Acadia of the Lands and Forests in August 2014. The 2014 World Acadian Congress' President, Emilien Nadeau, is very pleased with these first selections: "We are delighted that the municipalities of Edmundston, Madawaska, Témiscouata-sur-le-Lac, Grand Falls and Pohénégamook are joining the CMA 2014' programming team. In collaboration with those municipalities, we will offer events that reflect the deep values and the dynamic nature of Acadia of the Lands and Forests. Although these major events will be centered around specific localities, a combination of activities will be staged throughout the region enabling all communities of the three regions of Acadia of the Lands and Forests to participate fully in the activities of the Congress. The 2014 World Acadian Congress organizing committee would like to thank all the municipalities that submitted proposals. These first six major events are only the tip of the iceberg. Stay tuned as upcoming events are announced as the excitement continues to spread over the whole territory of Acadia of Lands and Forests. Edmundston (NB) - The invitation is now open to any and all songwriters to prove their talent by providing an original song that could become the CMA 2014's theme song. In order to highlight the vitality and pioneer spirit of the CMA 2014, the song must reflect the positive vision of Acadia within our world-wide community, a modern and global vision of an Acadia ready to embark in the third millennium. The song will also need to focus on the pillars of the CMA 2014 that are, pride, youth, new technologies, sustainable development and inclusion while resonating the Acadia of the world with all its diversity and affluence. "It will be a song able to rally all Acadians and provide them an opportunity to have their voices heard and at the same time offer the entire world a vibrant image of the existing Acadia and a vision of tomorrow's Acadia. It will be a song to celebrate the Acadia of the World! ", according to the President of the CMA 2014, Mr. Emilien Nadeau. The theme song of the CMA 2014 will be heard at all promotional events of the CMA during the period leading to the CMA 2014 and during the Congress' events in August 2014. Moreover, the song will constitute a production number during one of the major events of the Congress. It will also be broadcasted in all the radio stations when launched in the fall of 2012. Any interested party must submit their demo tape before August 31st, 2012. The competition criteria are posted on the CMA 2014's website (www.cma2014.com ). The winner will receive a prize of 2500 $. The proposed demo tape will be submitted to a jury of professional in that field for evaluation. The cultural spokesperson of the CMA, Roch Voisine will oversee the jury. Roch Voisine will be the spokesperson for the 2014 World Acadian Congress. The world renowned singer is originally from Edmundston (Saint-Basile), New Brunswick, the heart of the host region of the Congress which is to be held August 8-28, 2014. The 5th World Acadian Congress will take place in three neighboring regions: north western New Brunswick, the State of Main, and the Temiscouata region in Quebec. The announcement was made this morning during a news conference in Moncton, New Brunswick, the day following the ECMA show, Célébration francophone, which paid homage to this great artist during the 2012 East Coast Music Award Week. World Acadian Congress Chair, Émilien Nadeau, explains that as spokesperson, Roch Voisine will take part in several important promotional events before the Congress. The artist will also promote the World Acadian Congress during his own events and media appearances. Roch Voisine will invite the world to be a part of the August 2014 celebrations in his native region. As spokesperson, Roch Voisine will also be a part of the Acadian delegation at the Festival Interceltique de Lorient in Brittany, France, in August 2012. The event is the most important festival of France and this year l'Acadie is in the spotlight. During the Festival in Lorient, Rochwill perform at an August 6 concert in front of a crowd of 6 000. "It will be a great opportunityfor him to promote the World Acadian Congress to the French public in Brittany who is already very much interested in l'Acadie", says Nadeau. The same concert will be presented in Caraquet, New Brunswick on August 15 for the Fête nationale de l'Acadie during the Festival acadien. Among other tasks, the World Acadian Congress spokesperson will be a member of the jury panel in charge of selecting the theme song of the 2014 celebrations. The Executive Director for CMA 2014, Leo-Paul Charest is pleased to announce this new acquisition for the event. "The CMA 2014 organization welcomes the partnership with the Réseau de développement économique et d'employabilité du Nouveau-Brunswick (RDÉE NB) and especially the fact that we managed to attract a person of the calibre of Francine Landry to lead the economic component. With a projected economic impact of more than $55 millions in the region, we aim to make a pillar of the Congress out of the economic component and a major contributor to its success. Johanne Lévesque, RDÉE NB manager, believes that Ms. Landry represents a good element to fully realize the expectations and foster the necessary partnerships to contribute to the success of the economic component. As coordinator, Francine Landry will focus on encouraging and building the economic initiatives in relation with CMA 2014. She will be working closely with economic organisations on the Acadia of the Lands and Forest territory (i.e parts of Maine, New-Brunswick and Quebec). Francine Landry who officially started as coordinator on April 2nd, is looking forward to meeting the challenges in front of her: "The 2014 World Acadian Congress is a unique opportunity to develop permanent links between our regions, demonstrate our creativity, promote our quality of life, create business opportunities and collaboration between entrepreneurs and other leaders in our communities." The World Acadian Congress is an event that happens every five years and brings together the Acadian diaspora throughout the world. Activities will be delivered throughout the Acadia of the Lands and Forests region during 17 days, from August 8th to 24th, 2014. The event is community based with the intention of showing the heritage, the culture and other regional charm. FORT KENT - The University of Maine at Fort Kent will play a major role in the organization of the scientific and intellectual conferences to be held during the Congrès Mondial Acadien/World Acadian Congress, which Acadia of the Lands and Forests will host throughout August 2014. The international collaborative will unite the UMFK with the Université de Moncton, campus d'Edmundston (UMCE) and the L'Université du Québec à Rimouski campus (UQAR). Professors and researchers from the three institutions met in December with Léo-Paul Charest, executive director of the Congrès Mondial Acadien (CMA) 2014, and with the director of the National Society of Acadia (SNA) Éric Mathieu Doucet. "The first meeting's objective was to create a partnership in order to lay the foundation of the intellectual conferences. Discussion focused on establishing themes, the format, and the sequence of events" stated Jacques Paul Couturier, UMCE's academic vice-president. "I'm delighted with the results of our meeting. There is an excellent spirit of collaboration amongst the researchers of the three universities and the project is eliciting much enthusiasm, which is a great predictor of the success of our joint venture. The next step involves presenting a detailed program to the COCMA for approval," Couturier added. UMFK's Assistant Professor of French Nicole Boudreau said, "I'm very happy to be part of the 2014 CMA conference organization committee. I've participated in past congresses as a presenter, but it will be interesting to see behind the scenes and play a part in shaping the themes and questions to be explored in 2014." Lise Pelletier, director of UMFK's Acadian Archives added, "Conferences are an essential part of every Acadian Congress. They have two important components: the academic conferences and the community-based conferences. Speakers from all over the world will address issues such as the economic future of Acadia of the Lands and Forests, sustainability, the forest industry, shared governance, education, culture and heritage. These conferences will be free and the public is invited to attend any and all." First of all, to clarify the matter, we're not broke. The Maine Regional Coordinating Committee of the Congrès Mondial Acadien 2014 is being funded by a couple of levels of government: St. John Valley municipalities are funding Maine's participation at a rate of $1 per capita for the duration and the State of Maine is funding it at a rate of $250,000 a year, also for the duration. As most of you know, the budget for CMA 2014 is based on the previous four Congrès Mondial Acadien. When we first showed Maine's budget to Gov. Paul LePage, he immediately said, "This is a no-brainer. It's tourism and economic development." However, the American federal government, more precisely the representatives for Senators Olympia Snowe and Susan Collins and Congressman Michael Michaud, tell us there are apparently no federal funds available. The total budget for CMA 2014 is $11.5 million. It appears that the US government will most probably not fund the $1 million stipulated in the international budget prepared for the World Acadian Congress. The Canadian government will contribute $4 million as budgeted. This is where Maine's shortfall could be. Whichever way this funding thing works out, Maine is still in this and we will hold our own. We'll just have to plan according to our means. - However, the major event of CMA 2014 is Acadian Day, la fête de l'Assomption, and it will be held in Maine on August 15, 2014. There were approximately 25,000 people in Caraquet, NB, on August 15, 2009, during the last CMA. Caraquet is about the size of Madawaska or Fort Kent. You can go to YouTube if you want to see just a little bit of what an August 15 celebration looks like. It's mind boggling. - Plus, our goal is to host between 50 and 60 family reunions in the Valley between August 8 and August 24, 2014. There are already 30 families meeting in the Valley and we still have three years to go. If the average family reunion comprises 500 people, that means between 20,000 and 30,000 visitors to the Valley during those two and half weeks. This is unquestionably tourism and economic development. What else could it be? So, we're not broke and we're not out of it. You're invited to join the Maine Regional Coordinating Committee which meets every third Thursday of the month at 6 p.m. in the Fox Street conference room of NorState Federal Credit Union. 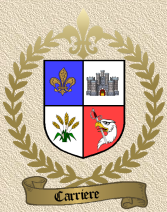 Edmundston, NB  The World Acadian Congress 2014 will host the Acadia of the world with the participation of the Caisses populaires acadiennes as an important partner and contributor. Mr. Émilien Nadeau and Mr. Camille Thériault, respectively Chairman of CMA 2014 and CEO of the Caisses populaires acadiennes have formalized their partnership today that will contribute to the success of this great event. The Caisses populaires acadiennes becomes the first Platinum Partner of the World Acadian Congress 2014. The chairman of the CMA 2014 is proud of the realization of this agreement: "Partnerships like the ones with the Caisses populaires acadiennes are essential in the organization of a Congress like ours. The CMA 2014 will be the Congress of all Acadians and their friends. Our joint efforts will certainly contribute to the Acadian pride in our communities and around the world." For its part, the CEO of the Caisses populaires acadiennes is pleased to partner with the Congress team. "The commitment of the Caisses populaires acadiennes to the CMA 2014 demonstrates our commitment to the Acadian identity either through its culture or its history. Beyond our monetary contribution, we hope that the Acadian pride will lead all activities taking place on the territory of Acadia of Lands and Forest," says Mr. Camille Thériault. 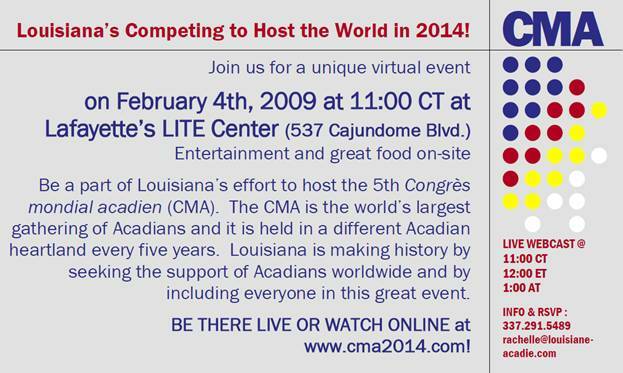 The World Acadian Congress 2014 is an investment of 11.9 million that will have an impact of more than 55 million. The 2014 event opens the Acadia to the world and the world to Acadia. The CMA 2014 is proud to have this important support of the Caisses populaires acadiennes and many other current and future partner. Well-known Acadian artist, Marc Beaulieu, has been named Program Director of the next World Acadian Congress in 2014. Born in St-Basile, New-Brunswick, Beaulieu has spent more than thirty years in the musical industry and has worked with such artists as Roch Voisine, Zachary Richard, Édith Butler, Isabelle Boulay and Danny Boudreau in Acadie, in Québec and around the world. The President of the Organizing Committee of the 2014 World Acadian Congress, Émilien Nadeau, is delighted by this choice : "Marc Beaulieu is from the Acadia of the Land and Forests region and is coming home to make an important contribution to his birthplace. He is also very familiar with the event since he was involved in the 1994 and 2004 CMAs." Marc Beaulieu who officially started the job on January 1st 2012 did not waste any time: "I am calling on all artists, artisans and all people interested in creating our vision for an Acadia of the World to join us and make this gathering a world event, an ode to our pride and our hope for the future, a message of peace and harmony and a commitment to cooperation and respect" he said. As Program Director Marc Beaulieu becomes responsible for all the various events of the CMA, 2014 such as all conferences, theme days and concerts. For now, the position is part-time but will become full-time as the congress approaches. "Family gatherings are at the heart of any World Acadian Congress and Acadian and non-Acadian families have responded enthusiastically" said COCMA President Émilien Nadeau who added that these expressions of interest have far exceeded his own hopes. ST. JOHN VALLEY - Families, the heart of the success of the 2014 World Acadian Congress, were the main attraction at a press conference Thursday where officials announced the names of the first 60 families, including 31 families in Maine, that a committee chose to host reunions during the unprecedented international event. The WAC is a multi-week festival extraordinaire occurring once every five years in various locations around the globe that are rich in Acadian heritage. The event brings Acadians together on a scale unlike any other cultural event. Organizers have set a goal for 120 family reunions to occur during the WAC. Organizers anticipate August 2014 will see more than 50,000 visitors to the area dubbed Acadia of the Lands and Forests, which encompasses northern Maine, northwestern New Brunswick, and Temiscouata County in Quebec. Organizers expect the economic impact in the region to exceed $55 million. The cultural experience in 2014 will be unlike any of the previous four congresses, primarily because of its location. What makes Acadia of the Lands and Forests unique is international cooperation to host the event. Never before have regions hosted a WAC on both sides of an international boundary. Executive director of the organizing committee Leo-Paul Charest said that working with essentially five levels of government in two countries, two provinces, one state, and over fifty communities has been both a challenge and a pleasure. "[They are] all enthusiastic and want this Congress to be the best ever," said Charest. Jason Parent, president of the task force in charge of reunions, told the standing-room only group of reporters, reunion applicants, and event organizers, that it was the family reunions that would bring the masses of people to Acadia of the Lands and Forests for the WAC and make the event a success. Parent then read the list of the first 60 family names chosen for official reunions during the WAC as well as the specific locations within Acadia of the Lands and Forests where the reunions will be held. Each year in Madawaska, organizers choose a family to host a reunion during the annual Acadian Festival, attracting hundreds, sometimes thousands, of members of that family to the celebration. The WAC takes that concept and multiplies it, by a lot. Now that the WAC organizing committee has announced the first 60 names, organizers will receive a new wave of applications. After Parent read the names, Michelle Daigle, the regional coordinator for New Brunswick, took the podium. "I'm very, very happy today, after this announcement," she said referring to the first 60 names, "to launch the second round of applications." Applications to host a family reunion are available on the WAC website, www.cma2014.org. Daigle said she hopes that families who have yet to apply will do so during this next round of applications. Before the press conference closed, Charest left the crowd with this tidbit, "In the future, I want you to all be standing by. There are going to be other exciting announcements." ST. JOHN VALLEY - Officials with the fifth World Acadian Congress will announce the names of the first 60 families awarded the honor of hosting a family reunion in Acadia of the Lands and Forests during the two and a half week celebration coming to the region in August 2014. Organizers will announce the results of the first international call for proposals to host gatherings in northern Maine, northwest New Brunswick and southeast Quebec during the coming Congress during a press conference at the University of Moncton campus in Edmundston in the multi-purpose room (PSL 105) of the Simon LaRouche Building on Thursday, Jan. 5 at 1:30 p.m. Eastern Standard Time. The family reunions hosted during the World Acadian Congress each attract hundreds and thousands of participants and are key to drawing the more than 50,000 visitors that attend the event held every five years. Visitors travel to the host site from more than 40 countries around the world. The economic impact for the 2014 event to the international region is expected to exceed $55 million. At the press conference, coordinators will announce the names of the families awarded reunions after this first round, as well as the sector of the region, Maine, New Brunswick or Quebec, where the gatherings will be held in 2014. Organizers will also provide details on the second call for applications for families, family associations, municipalities and other entities interested in hosting a family reunion during the 2014 World Acadian Congress. From left to right: Gilles Daigle, first vice-president of the Chamber of Commerce of the Edmundston area, Nadia Pelletier, executive director of the Chamber of Commerce of the Edmundston area, Anik Bossé, president of the Chamber of Commerce the Edmundston area, Emilien Nadeau, president of the CMA in 2014, and Leo-Paul Charest, Executive Director of the CMA 2014. Maine representatives of the CMA 2014 International Organizing Committee & Maine Regional Coordinating Committee: Jason Parent, CMA co-pres & Maine pres. & family reunion task force; Denise Cote, CMA exec. secretary & Maine delegate; Lise Pelletier, Maine VP; Lorraine Marston, MRCC; Anne Roy, Maine delegate & family reunion task force; Don Levesque, Pres of the Maine Regional Coordinating Committee. The organizing committee of the 2014 CMA invites you to an information session on family gatherings. Ms. Lisette Cormier Noël, in charge for the case of meetings families during the 2009 conference, will be the host of the evening. Mrs. Noël will share her experiences, shed light on the steps and preparation for the success of a family gathering. Finally, she will answer to your questions. Whether you have already submitted a form to arrange a meeting of family or not, this evening is for you. Invite members of your family and come meet us this Thursday, November 10th 7 PM @ the Madawaska Museum. Société Nationale de l'Acadie; La présidente de la SNA en compagnie de Léo-Paul Charest, directeur général du CMA 2014, Monsieur Ray Trahan, président du conseil exécutif du GRA 2011, Monsieur Jason Parent, co-président CMA 2014 - région du Maine et Madame Brenda Trahan, directrice du GRA 2011. [Photo taken in St. Martinville, Louisiana at the Acadian Memorial Museum]. High interest in Family Reunions during World Congress prompts Maine officials to schedule two additional information sessions in Fort Kent and Van Biren. Acadia of the Lands and Forests - For those interested in hosting a family reunion during the World Acadian Congress 2014, mark your calendar.. We'll be giving you the background of the World Acadian Congress and what it takes to ...put on a family gathering during the event. We'll be in Fort Kent at the Town Office on the 20th of October at 6pm and in Van Buren at the Town Office on the 25th of October Office at 6pm. Edmundston, NEW BRUNSWICK - The organizing committee of the 2014 World Acadian Congress today announced the preliminary program of events for the fifth Congress and the many partnerships that have been forged to date between the international organizing committee and businesses, government entities and organizations. In the presence of the regional committees and representatives of the participating governments of the three regions of Acadia of the Lands and Forests (New Brunswick-Maine-Témiscouata), the international chairman of the WAC, Emilien Nadeau, accompanied by members of his team and staff, also presented the organizational and operational structure for the event to be held from August 8 through 24, 2014. The kickoff of the organization of family reunions, which is central to the attraction of a large number of visitors, was unveiled on June 7 in Maine. The aim is to have 120 families reunite. Entry forms are already being received. The preliminary program of activities for the Congress in 2014 provides a good overview of the event calendar as it will develop in the coming months and years. The organizing committee unveiled its first list of activities in preparation for the 2014 Congress. - (Senior games, golf tournaments, etc.). Given the international nature of the event, partnerships are crucial to the success of the project. Supported by a growing team, the executive director of the 2014 WAC, Léo-Paul Charest, has entered into numerous partnerships throughout the international region in recent months. This list will grow over the coming months with the development of a major sponsorship program. During the press conference, the executive committee of the World Acadian Congress paid tribute to the individual who initiated the international effort to attract the Congress to the region, the artist Etienne Deschênes; and to the first president of the organization, Jean-Paul Savoie. The president, monsieur Nadeau, concluded with these words: «The organizers are very satisfied with the work accomplished during the past year, and according to comments from former organizers of Acadian Congresses, we think we are on target and on schedule». La région de lAcadie des terres et forêts a été sélectionnée par la Société Nationale de lAcadie pour organiser le prochain Congrès mondial acadien (CMA) en 2014. Notre région englobe les comtés de Victoria, Restigouche et Madawaska au Nouveau-Brunswick, de même que le comté dAroostook dans lÉtat du Maine aux États-Unis et le comté de Témiscouata au Québec. Cette région couvre une superficie denviron 13 250 km2 et comprend près de 100 000 habitants regroupés dans 50 municipalités. Le CMA est un événement de grande envergure qui attire plus de 50 000 visiteurs et engendre plus de 300 000 entrées aux activités. Tenue tous les 5 ans depuis 1994 pendant deux à trois semaines au mois daout (incluant le 15 août, la Fête nationale de lAcadie), cette grande fête rassemble des Acadiennes, des Acadiens et leurs amis de partout dans le monde. Le CMA se tiendra du 8 au 24 août 2014. Le thème du Congrès de 2014 est : LAcadie du monde... Une nouvelle Acadie! Organizers of the fifth World Acadian Congress, scheduled for Aug. 8-24, 2014, in northern Maine, northwestern New Brunswick and the Temiscouata region of Quebec, hope to increase the number of family reunions from 80 in 2009 to more than 100. Emilien Nadeau, president of the international organizing committee, put out the call for groups interested in hosting family reunions during the 2014 event near the Acadian Cross, the landmark in Madawaska-St. David where Acadians landed on the banks of the St. John River in 1785. Jason Parent is president of the Maine delegation, and Leo-Paul Charest is executive director for the 2014 WAC. Families in the St. John Valley have been putting on large reunions for dozens of years at the same time as the Acadian Festival, formerly held in late June. This year (2011), the 34th Acadian Festival and the annual family reunion in Madawaska were moved to Aug. 11-15 to coincide with International Acadian Day on Aug. 15. The 2011 gathering was the Cyr Family Reunion, celebrating ancestors and descendants of one of the St. John Valleys Acadian families. Some years the reunion honors a family with French-Canadian roots in Quebec. Acadian Congress in 2014: The first round of applications for families, family associations, communities and others interested in hosting reunions in 2014 will continue through Nov. 1. WAC staff, assisted by the family reunion committee, will work to bring together any competing applicants for reunions of the same family name to encourage collaboration and the submission of a single proposal. Forms are available at http://cma2014.org/ and at branches of Norstate Credit Union in Maine. The form asks reasons or connections for hosting the gathering at the proposed location; activities planned and infrastructure and equipment needed; historic, cultural or tourist aspects to be highlighted; number of people expected to attend; whether the group has organized a family gathering before and other comments and information. 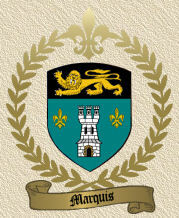 The reunions will be part of the 300 events, which will include regional celebrations, sporting and cultural activities. 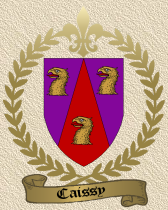 In addition to families of Acadian descent, the organization welcomes applications from other families with lineage common in northern Maine, northwest New Brunswick and Quebec. Once the first venues for 2014 family reunions are announced early next year, WAC will launch the second round of applications. Host family reunion organizing committees selected will be provided with $500 in seed money to begin planning their event. In a much-anticipated announcement, officials of the fifth World Acadian Congress launched on Tuesday the first round of open applications for groups interested in hosting family reunions during the two-and-a-half week celebration coming in August 2014. 2014 World Acadian Congress International President Emilien Nadeau, Maine Delegation President and Chair of the International Family Reunion Task Force Jason Parent and Executive Director Leo-Paul Charest take questions from the media at a press conference held at the Historic Acadian Cross Landing site in Madawaska on Tuesday. Joining Nadeau in making the announcement were Léo-Paul Charest, executive director for the 2014 WAC, and Jason Parent, president of the Maine Delegation to the international organizing committee and chair of the family reunion task force. It is that group, comprised of representatives from Maine, New Brunswick, and Québec, that developed the parameters for family gatherings throughout Acadia of the Lands and Forests. "The hosting of family reunions is a critical component to the World Acadian Congress. It is the lead draw for visitors from outside the region and around the world. Therefore it is key, both to the event programming and to the economic impact of the Congress in our collective region and respective communities," said Parent. "The family reunion task force has developed a formula we strongly believe will help ensure that all areas have the opportunity to host such gatherings in 2014." Specifically, the first open round of applications for families, family associations, communities, and others interested in hosting reunions in 2014 began today and will continue through November 1, 2011. During the five month period the WAC staff, under the advisement of the family reunion committee, will work to bring together any competing applicants for the same last name to encourage collaboration and the submission of a single proposal. At the end of the first round of the application period, the committee will come together to make their formal recommendations to the international organizing committee on the locations of family reunions based on proposals submitted. The organizing committee will announce the first venues they selected to host family reunions in early 2012 at the same time that they launch the second round of applications. "We have a very ambitious goal," said Charest. "In 2009, over 80 families hosted reunions during the Congress in the Acadian Peninsula of New Brunswick. Our goal is to have more than 100 such gatherings in Acadia of the Lands and Forests in 2014. Given our international region and the level of interest we have seen to date, I do not doubt that we can reach this goal." 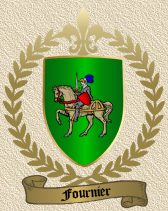 In addition to hosting reunions of families with traditional Acadian names from both within and outside the host region, the 2014 World Acadian Congress is welcoming applications from families of other lineage common in northern Maine, northwest New Brunswick, and southeast Quebec. Once organizers have successfully matched a family and community and provided all necessary information to Congress organizers, host family reunion organizing committees will receive $500 in seed money to begin planning their event. Family reunions hosted during World Acadian Congresses are key to drawing the more than 50,000 participants that attend the event held every five years. Visitors travel to the host site from more than 40 countries around the world. The projected economic impact of the fifth World Acadian Congress in 2014 is upwards of $50 million. 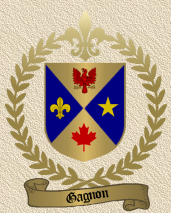 Applications for parties interested in hosting a family reunion in Acadia of the Lands and Forests in 2014 are currently available on-line at the temporary website for the fifth World Acadian Congress at www.cma2014.org. Paper applications can be picked up in person in Maine at all Norstate Credit Union locations. In New Brunswick applications are being distributed through all branches of the Caisses Populaires Acadiennes. In Québec they are available through the municipal offices in each community in Témiscouata. Applications can also be obtained through the regional coordinators in Maine, New Brunswick, and Québec. Informational sessions will be held in the coming days and weeks in all three regions. The meetings will detail the application process and provide the opportunity for interested individuals to ask questions about family reunions and the 2014 WAC. In Maine, the session will be held on Tuesday, June 21 at 7:00 p.m. (local time) at Norstate Credit Union in Madawaska. In New Brunswick, the meeting will be held on Thursday, June 9 at 7:00 p.m. local time at l'Édifice Maillet in St-Basile. The session in Québec will be held on Wednesday, June 29 at 7:00 p.m. (local time) at the historic site of Fort Ingall in Témiscouata-sur-le-Lac. The region of Acadia of the Lands and Forests has been selected by the «Société Nationale de lAcadie» to host the next World Acadian Congress (WAC) in 2014. Our region encompasses the counties of Victoria, Restigouche and Madawaska in New Brunswick, as well as Maines Aroostook County in the United States and the Témiscouata county in Québec. This region covers an area of about 13 250 km2 and includes nearly 100 000 inhabitants grouped in 50 municipalities. The WAC is a major event which attracts over 50,000 visitors and more than 300,000 entries to the activities. Held every five years since 1994 for two to three weeks in August (including August 15 - the Acadian National Day) the celebration brings together Acadians and friends from around the world. The WAC will be held from August 8 to 24, 2014. The theme for the 2014 congress is: Acadia of the World ... A new Acadia! An international leadership team is preparing for the 2014 World Acadian Congress to be held in Maines St. John Valley and New Brunswicks Acadian Peninsula. In fact, welcome signs recently put up in the St. John Valley are already heralding the event. In French, the conference is called Congres Mondial Acadian 2014 (CMA 2014). Its a 2-3 week celebration held once every five years at a specially selected place to celebrate the Acadian and Franco-American cultures. Its an important event because the Congress brings together the families and shared cultures of people who were separated by centuries of past displacements due to colonial wars and political treaties. Jason Parent is a well known community leader in the St. John Valley. He speaks French and English. He was appointed President of the Maine delegation to the 15-member CMA international organizing committee. They are planning activities in Aroostook County, in Quebec and New Brunswick Canada. Their work is focused on a mission to bring international attention to the seemingly lost population of the Acadians and Franco-Americans of Maine and New Brunswick. Tragic historical events described by poet Henry Wadsworth Longfellow in his epic poem Evangeline described how the Acadians were purged from Nova Scotia by the British in the horrible events of 1755. Yet, comparatively little is written about the refugees who fled the deportation known as le Grand Derangement. Many found their way to the Madawaska region where they landed at St. David, in Maine. The Madawaska Historical Society protects the Acadian Landing Site as part of the Tante Blanche Museum complex in St. David parish, Madawaska. Parent says Maine and New Brunswick worked hard to attract CMA 2014. Planners expect to attract 50,000 people from the four corners of the world to the Maine and New Brunswick area for the festivities. Activities planned include 300 events like family reunions, local historical celebrations, commemoration ceremonies, musical, and theatrical productions, conferences, genealogy networking and sporting events. The theme for CMA 2014 is Lacadie des terres et des forets! or Acadia of the Lands and Forests. Parent says the first of many welcome signs to promote the theme was unveiled on Aug. 9, specifically because the date marks four years to the day of the opening ceremonies planned for CMA 2014. In addition, the date is significant for Acadian history because it marks the 168th anniversary of signing of the Webster-Ashburton Treaty on August 9, 1842. This treaty set the boundary between Maine and Canada along the St. John River. Unfortunately, the boundary split Acadian and Canadian families living on both sides of river. Once again, Acadian families were sadly separated by the border, after they had worked to build their lives following the 1755 expulsion from Nova Scotia by the British. Celebrations of the pentennial Congress are scheduled around August 15th, the Acadian Feast Day to honor Our Lady of the Assumption, the patron saint of the Acadian people. Parent says CMA 2014 will be a cultural and economic attraction. The committee is working on ways to provide smooth border crossings for the people who plan to attend festivities on both sides of Maines international border with Canada. We are starting as early as possible to test the waters to see who may be interested in going to the CMA-2014. For those of you who do not know what this is, the Congrès Mondial Acadien (Acadian World Congress), is a gathering of Acadians from all over the world. It last for about a 2 week period to celebrate our heritage, have family reunions and exchange genealogy research. Even though the events last about 2 weeks, does not mean that you have to stay there for the whole time. Some people only go for a couple of family reunions and nothing else, and that's OK. The CMA-2014 will be held August 8 - 24, 2014 in what is known as the Acadia of the Land and Forests Region. The region includes the Northwest of New Brunswick, the Aroostook county of Maine, and the Témisoucata county in Québec. The activities will include an opening ceremony, activities for celebrating Acadian National Day on August 15th, many family reunions, a series of conferences, an international showcase, special events and live shows, as well as spectacular closing ceremony performances. More than 200 activities will be presented for all ages. Each family association is responsible for getting their individual reunions together. At this time things are only in the planning stages, but as I said before, we're only trying to find out who may be interested in going. As the CMA, SNA and individual families send out more details I will pass it on to you so you can make a more informed decision. The Acadian Genealogy Society has a little over 2000 members. It takes a lot of planning to make plans for as many that has traveled with us and the group just keeps getting bigger. CMA - 2004 was held in Nova Scotia were over 250,000 Acadian descendants converged on the land of their Ancestors. CMA - 2009 was held in the Moncton, New Brunswick region. Nearly 4000 students from schools in the north-western New Brunswick are invited to learn the celebrations of the 5th World Acadian Congress taking place in the international region of Acadia Land and Forests in 2014. 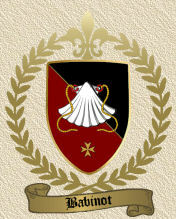 Through Week Provincial French Pride (SPFF) and through a partnership between the committee to promote the Acadian land and forests, the organizing committee of the CMA 2014 and School District 3, the performing troupe cultural "Acadia of Lands and Forests Day" was produced in two 'polyvalentes' and has attracted students from 13 schools. "The turnout was excellent. And a very cultural show performed by youth, for youth, to promote Acadian culture", said committee chair to promote the Acadian land and forests, Hugh Chiasson. The project initiative to present the show during the week 'Provincial French Pride' by the artist Étienne Deschênes who is no stranger to the coming of 2014 in the CMA region. In addition, Mr. Deschenes is closely linked to SPFF, being the co-author and performer of the theme song from the annual event, "C'est un amour", to which another Madawaska artist, Albert Belzile, contributed. Based on the feedback received from teachers, students and school district employees, the tour was a great success, "said Chiasson. "Let's just say that, there was great Acadian talent on the stage, at the same time. Jason Guerrette, Vanessa Lynn Chiasson, Frederick Deschenes-Cyr and Isabelle Pelletier, to name a few, leave no one indifferent to this group of fifteen young people who make a nice synergy during the past nine years," said the chairman. The objective of the project is to educate young people to CMA 2014 and will proceed in three steps. "Even if the event is only in four years", said Mr. Chiasson, " we need to immedately start promoting it so that it becomes a success." Next year, the company plans to organize events during the year for students in schools of Temiscouata, Quebec. In 2012, it will be the turn of students of the State of Maine. Here are the schools where students took part in various performances of the show of Acadia Land and Forests: École Saint-Jacques, St Joseph School, Polivalente Cité des Jeunes A.-M.-Sormany Edmundston, Notre-Dame in Edmundston, Ernest-Lang School, St. Francis Regional School in Green River, Regional School St. Basile, St. Anne-de-Madawaska School, Sacred Heart School in Grand Falls, Saint-Andre's Mary Immaculate School, Mgr. Lang School Drummond and Polivalente Thomas Albert in Grand Falls. FREDERICTON (CNB) - The leaders of the three jurisdictions hosting the 2014 Congrès Mondial Acadien, l'Acadie des Terres et Forêts, discussed the event during the recent Council of the Federation mission to Washington. Premier Shawn Graham, Quebec Premier Jean Charest and Maine Governor John Baldacci agreed to instruct their respective officials to hold a preliminary meeting in March. L'Acadie des Terres et Forêts will be held in an area encompassing northern Maine, Témiscouata, Que., and northwestern New Brunswick. For this reason, the leaders agreed that their respective jurisdictions would follow a co-ordinated approach in assisting with the organizers of the event. "New Brunswick had the pleasure of hosting the latest congrès mondial on the Acadian Peninsula and, thanks to the support of our strong Acadian community, the event was an unparalleled success," said Graham. "Our government was a major funding partner in the last congrès mondial, and, in my discussions with Premier Charest and Governor Baldacci, I made it clear that investments in the next congrès mondial Acadien would be money well spent." Graham also discussed the importance of the francophone community in New Brunswick. "The Acadian and francophone communities have been key to New Brunswick's development, helping to make our province a model of cultural diversity," said Graham. "They will continue to be extremely important as we work to build a self-sufficient New Brunswick." Baldacci pointed to the important role that the Acadian community plays in Maine. "About one-third of the state of Maine is Franco-American," he said. 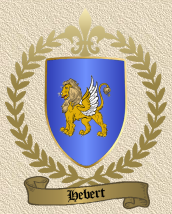 "They are very proud of their ancestry. We're very excited to be hosting this event. Premier Graham and I spoke about how great the last event was for economic development and tourism and, at the same time, for pride of heritage." FORT KENT, Maine - The countdown to 2014 is on with Sunday's announcement that northern Maine - together with neighboring regions in New Brunswick and Quebec - has been selected as the site that year for the Acadian World Congress. The international event has the potential of drawing 50,000 visitors to the region over a three-week period in August 2014 with a direct economic impact of $55 million and the creation of up to 20 full-time jobs over the planning period in addition to major financial support for local historical societies and museums. The announcement came during the current Acadian World Congress, which is taking place on the Acadian Peninsula in northeastern New Brunswick. A delegation of 37 representatives from both sides of the St. John Valley made the trip by bus to hear the news firsthand from officials with the Societe National de l'Acadie. but then when the announcement came, my heart just stopped." Lasting a month, each congress includes up to 300 activities, conferences, cultural events, economic discussions and sporting events. "This is huge," Martin said. "Every town and village in the region has the opportunity to be involved and do something." 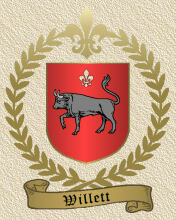 The successful application was the first ever submitted by an international group. "This is a great day for us," Jacques Martin, mayor of Edumundston, New Brunswick, said by phone. "This is a great project with our neighbors in Aroostook County and Quebec." 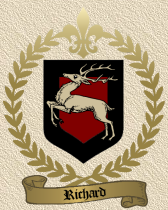 The group received the unanimous support of the Societe National de l'Acadie. Its proposal beat out competing applications from Quebec City and Lafayette, La. The group's detailed application included more than 120 letters of support from international leaders, educators, journalists and citizens. "This is fabulous for us," Jacques Martin said. "We still have a lot of work ahead of us and the next five years will be quite a challenge, but I am sure we have the team to do it." The Edmundston mayor added that organizers from the current Acadian World Congress have pledged their support for the 2014 planning process. Good news travels fast, and it didn't take long for word to make it back to the St. John Valley. Pelletier, who was part of the application committee, said the event will take full advantage of the two universities within the region, with UMFK joining the Edmundston campus of the University of Moncton in offering numerous scholarly opportunities. "We even have time to do research and publish academic papers of our own," Pelletier said. Three hundred years ago, the ruling British forcibly deported Acadians who had settled in Nova Scotia when they refused to take an oath of allegiance and fight against the French. The action became known as the Grand Derangement and scattered Acadians across North America, including into the St. John Valley. "But we remain a secret, even though we have the largest concentration of French-speaking people in the country with 85 percent speaking the language," Pelletier said. Hosting the world congress will allow residents within the region to shine a spotlight on the area's Acadian culture. "It's about the survival of our culture and of our language," Pelletier said. "Our language is still alive with our culture, and we want to share that with the world." Towns in the St. John Valley already share that culture with events like the annual Acadian Festival in Madawaska and this weekend's Ploye Festival in Fort Kent. "These events can still go on in 2014," Louise Martin said. "They can be a part of the congress." For the three weeks of the congress, Acadians from all walks of life and from around the globe gather to discuss just what it means to be an Acadian historically, culturally, geographically, linguistically and socially. A highlight of the congress is Aug. 15, International Acadian Day, Pelletier said. "At 6 p.m. every August 15 Acadians come out of their homes with pots and pans or whatever makes a sound and make as much noise as they can," Pelletier said. "It's kind of a snub toward the [British] saying 'we are still here.'" Given Sunday's announcement, Pelletier predicts this year's "Tintamarre" on Aug. 15 will be especially loud. "Of course, now the real work planning the conference begins," she added. MADAWASKA, Maine April 2009 - Members of the Provisional Committee of Acadia Land and Forests, candidate for obtaining the World Acadian Congress in 2014, presented an outline of their application, at a press conference held at the Madawaska Elementary School School, Maine, on Thursday April 30, 2009. Representatives of organizations, municipalities, governments and influential people in the region of Acadia Land and Forest, participated in the conference. 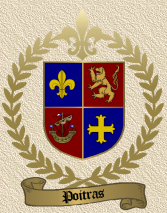 The Committee also presented the broad details of its application for the Acadian World Congress of 2014, including its vision, mission, motto, logo and its proposed geographical boundaries. The region of Acadia Land and Forests is truly international. 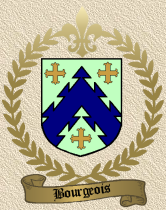 Uniting people of Aroostook, Maine, with the north-western New Brunswick and Temiscouata County, Quebec, gives the region of Acadia Land and Forest a unique character that cannot be claimed by any other Acadian regions of the world. The territory of Acadia Land and Forest extends over two countries, two provinces, one state, five counties, and more than 50 municipalities and community groups and includes 100,000 inhabitants. Whether for Acadia or any other major groups, it will be necessary to look long and hard to find another part of the world capable of taking advantage of regional, political, demographic, economic, cultural which this application offers. It is for this reason that the idea of hosting the Acadian World Congress of 2014 in our region quickly and easily find not only a consensus, but above all a willingness to show the world that strength and friendship of the citizens who make up Acadian Land and Forests, transcend the divisions imposed by borders. We expect to host more than 50,000 new visitors and friends, and 600,000 participants in various activities of the World Acadian Congress in 2014. The budget of the event is approximately $13 million, which would create economic benefits for the region as much as $50 million dollars and would be the largest event socio-economic and cultural-historical for the region of Acadia Land and Forests. Without disclosing all the details of their program, the Committee noted that there will be activities of all kinds and for all tastes equally distributed throughout the country and conducted throughout the Congress, during the three weeks between late July and mid-August 2014. These activities will include ceremonies and an opening show, activities for celebrating the festival of August 15, many family reunions, a series of conferences, an international showcase, special events and live shows, for enjoyment of all ages, as well as a spectacular ceremony and closing performances, and a series of historical activities. In summary, more than 200 activities will be presented. We also plan a series of activities from 2010 to 2014. 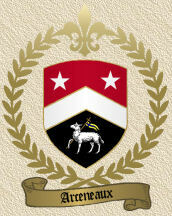 Also, a major activity with international partners will be held in 2013. If the St. John Valley bid is confirmed, members of the Committee believe that the road to be traveled for the next five years is as important as the three weeks of the Congress itself. 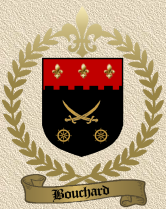 Needless to say, the Congress will bring a renewed acadienne pride in the north-western New Brunswick region, as well as an assurance of renewed French language by the participating institutions of Maine, as well as a renewed historical Acadian interest by our cousins in Temiscouata, Quebec. Moreover, Maine is a major player in the event. This state has the highest proportion of Acadians in the United States. They deserve to be known and recognized as such. The event is both important for the region and throughout the Acadiana World. Since September 2008, the committee's work has borne fruit. It has received unequivocal support of virtually all organizations of the territory of the Acadian Forest and Land. Some sixty reunions and meetings were held with agencies and municipalities. In addition, all levels of government were contacted by members of the Committee, including the Governor of Maine, John Baldacci, the Premier of New Brunswick, Shawn Graham and Quebec Premier Jean Charest. On April 3rd, the Committee, through the delegates from each of the sub-regions of Acadia Land and Forests, submitted their formal bid documents to the office of the Société nationale de l'Acadie. At the end of June, the Committee will meet members of the Selection Committee of the 2014 World Congress. The winning bid will be announced in August 2009 at the 'Congres Mondial Acadien' being held in the Acadian Peninsula of New Brunswick. 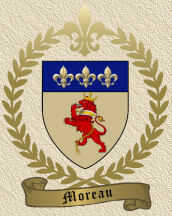 L'Acadie des Terres et Forêts is seeking the privilege and honor to be the host of the World Acadian Congress in 2014, to be celebrated as "l'Acadie in the world: a new Acadia! . Lafayette, LA  Lafayettes LITE was full this morning for the official launch of Louisianas bid to host the 2014 Congrès mondial acadien. The bids Steering Committee also launched the bids official website in an effort to increase public awareness of the Congrès campaign. The Congrès mondial acadien is a two to three week event happens in a different Acadian area every five years and is recognized as the worlds largest gathering of Acadians. A lot of people in Louisiana identify themselves as Cajun but some might not understand what that means, both culturally and historically. Beyond being Cajun, we are also Acadians (descendants of those who settled Acadie in the 15th and 16th century) and are part of a huge extended family. Its important for everyone to understand that they are included in this worldwide celebration. Louisiane-Acadie, Inc. president Ray Trahan explains. Louisiane-Acadie, Inc. is coordinating the bid that will include all South Louisiana communities. This group observed the positive effects experienced by the province of Nova Scotia when it hosted the Congrès mondial acadien in 2004 and decided to compete in the next bid process. Past Congrès programming includes three major events, over sixty family reunions, festivals, community events, conferences, concerts, etc. Any community wanting to showcase their identity can participate. The Congrès attracts thousands of Acadians from all over the world, more specifically the Canadian Maritime Provinces, Québec, France and, of course, Louisiana. Louisianas Congrès Bid Steering Committee feels strongly that the economic and cultural impact of the event will greatly benefit Louisiana. The bid group felt it essential that the launch was inclusive and accessible to all by assuring it was available both live and online to everyone and anyone interested in being part of the celebration. As a young Cajun today, I certainly understand the power of technology. I use it every day to connect with my friends all over the world. We would have been missing a great opportunity by not incorporating this powerful tool that is so present in the lives of those who will be attending the Congrès mondial acadien in five and a half years, says Valerie Broussard, a young Steering Committee member. The bids website (www.cma2014.com) has three specific goals. 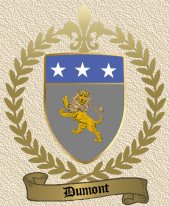 Firstly, it is a place for the global Acadian community to obtain information on what makes Louisianas bid special and unique. Secondly, it provides Acadians an instrument to support the bid of their Cajun cousins and thirdly it personalizes the process, making it interactive and invites everyone to tell the world why Louisiana is the best place to host the 2014 Congrès. This is the first time that a bidding region has created a website seeking the support of individuals throughout the world. The goal is to create a platform for grassroots support, impressing the selection committee while increasing local public awareness. The Steering Committee did not divulge all the bids secrets at this mornings event, but rather informed the public that the communities in South Louisiana are ready and willing to host this international event. They also emphasized their ability to do so. The passing of hurricanes Katrina, Rita, Gustav and Ike has created an awareness of the fragile relationship between Louisianas environment, culture and language and has created a sense of urgency and alarm. This call to action is being heard throughout South Louisiana and it is time for the Acadians to hear it too and help us create a cultural awakening that will strengthen cultural identity and pride. We owe it to our youth to create an environment where they can grow and blossom within their own culture and speaking their native French language. That is why the Congrès mondial acadien is important for our region. It will be much more than a party, it will be a catalyst for the survival and durability of our culture, emphasizes Trahan. The enthusiasm that the development of this bid has generated in the community is overwhelming. For example, a group of young Cajuns now meet monthly to talk about their role in the Cajun community and what actions they can take to encourage the evolution of their culture. 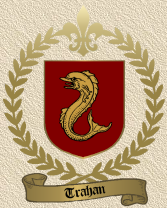 Louisiane-Acadie, Inc. has also seen an increased interest in the cultural cause. Just last month, about thirty associations answered a call to become partners of this organization that represents Cajuns internationally.  If you feel, like we do, that the Congrès mondial acadien should be here in 2014, please support the bid! Visit the website at www.cma2014.com and add your name to the growing list of supporters. You can also send a homemade video describing why you want the 5th Congrès to come to Louisiana. Trahan explains. 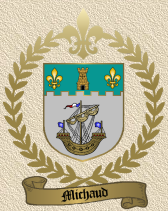 Louisianas bid will be submitted to the Société Nationale de lAcadie (National Acadian Society) at the end of March. The announcement of the winning region will be August 9, 2009. * and that will have long lasting impact on the lives and communities of Cajuns and Acadians worldwide. Louisiana's CMA will reconnect Acadians, descendants of the French who settled Acadie in the 17th and 18th centuries, in a celebration of shared heritage and unique differences in order to mobilize all Acadians, and the youth in particular, to participate in the continued expression of the native French language and culture. Louisiane-Acadie is an umbrella organization that represents Acadians and Cajuns in Louisiana and encourages networking and increased connections between Louisiana organizations in order to promote a united voice and better connect with all Acadian communities worldwide. Louisiana wants to host the world! Unique virtual press conference brings Louisianas launch of its bid to host the 2014 Congrès mondial acadien from Lafayette straight to your computer! WHAT: The World Acadian Congress (Congrès mondial acadien) is a huge gathering of Acadians from all over the world. It takes place every five years and Louisiana is vying to host the 5th edition of this international event. It would be a unique occasion for the residents of our state to showcase themselves to the rest of the world, as well as the perfect opportunity to meet with cousins from far away. A moment to celebrate together a common past. Watch live from your desk to get all the up-to-date information on the process and what makes Louisianas bid stand out from the pack when organizers officially launch the bid and its website next Wednesday. This event will mark a turning point for the Congrès mondial acadien bid process because it will be the first time that a candidate region has its own bid website and seeks support from Acadians all over the globe. This virtual launch will be webcasted live on the bid website (www.cma2014.com) in order to include all parts of the Acadian world in this great kick off. Journalists that watch online can also ask questions after the webcasted event by calling 337.422.4453 or emailing [email protected]. The question period will not be live online but we'll be able to accommodate you. ST. JOHN VALLEY  Exhibiting pride in their Acadian heritage has never been a shortcoming of the residents of the St. John Valley, but now that same pride could very well be the deciding factor in a major world event coming to the region. The Maine Acadian Heritage Council, along with the Forum of Mayors of Northwestern New Brunswick, have joined together to form a promotional committee whose mission is to host the 2014 World Acadian Congress in northern Maine and western New Brunswick. The promotional committee refers to our region as the Acadia of Lands and Forests; a depiction they hope will distinguish our region as a unique geographic location without national borders that includes more than 30 municipalities and 200 associations on both sides of the border. The event has the potential to bring upwards of $33 million in revenue to the region. Town managers from the Valley, chamber directors from both sides and mayors from New Brunswick met last Thursday evening with the Maine Acadian Heritage Council and other event promoters at the University of Maine in Fort Kent to discuss the possibility of bringing the event to the area and also to explore means of raising funds to support the first stage in the process, creation of a dossier to present to the National Acadian Society, or the Societe National Acadienne. The WAC event is a months long celebration of Acadian culture and includes dozens of family reunions. Think Madawaskas Acadian Festival times 75 to 150, said group coordinator Etienne Deschenes. It also would include some sporting events and major cultural activities that have in the past drawn in crowds of up to 300,000 event participants and 50,000 visitors to the area. Deschenes said the Acadian World Congress has been called the Olympics of culture in the French communities. There area at least three other areas known to be competing to host the event in 2014. Contenders for the honor, besides the local region, include Louisiana, Québec City and the Gaspésie region of Québec province. The committee in charge of promoting the event will spend the next three months preparing a dossier that will include a video, calendar of events, and other marketing materials that will all serve to convince the SNA that the Acadia of Lands and Forests region is the best place to host the event. In March the group will submit the dossier and commence what they have affectionately dubbed Operation Charm which will continue through the SNA decision to be announced on Aug. 15. Operation charm includes a visit from a committee of the SNA in charge of choosing the perfect location for the event. They look for a regions ability to host the event by examining both the financial capacity and the local infrastructure of an area. Other factors the committee will take into consideration are the areas French speaking background, the organization and willingness of communities looking to host, and the amount of Acadian pride that potential host communities exhibit. Deschenes said this is the first time there has been an international application to host the event. He said there area many advantages to choosing our region to host the event including the capacity for housing, a university on each side of the border, proximity and dynamism of municipalities, existing organizational structures, recreational and cultural facilities, important cultural and economic associations, enviable geographical location, and the general safety of the area, among others. The promotion committee will work to overcome possible political opposition at the state or national level, the regions lack of experience hosting events of this magnitude, and the fact that New Brunswick is hosting the 2009 Congrès mondial acadien. Deschenes said the promotion committee has a lot of work to do and not a lot of time to do it. Communities in New Brunswick have committed to giving the committee about one dollar per capita towards the preparation of the dossier. St. John Valley communities on the Maine side of the border will now see if there is any willingness to contribute. Deschenes would like to see a budget of between $40,000 and $60,000 for the dossier. Above noted article posted courtesy of the The St. John Valley Times, a division of Cleveland Newspapers, Inc.
ST. JOHN VALLEY - Acadia of the Lands and Forests in Edmundston, N.B., let the National Acadian Society know that it is interested in organizing the 2014 World Acadian Congress. Partners of the project are the Committee for the promotion of Acadia of the Lands and Forests, the Maine Acadian Heritage Council of Madawaska and the Forum of Mayors of Northwestern New Brunswick. 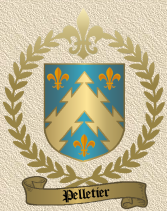 The Maine Acadian Heritage Council supports the candidacy of the Acadia of the Lands and Forests. MAHC is an organization that represents more than 40 different entities, such as towns, chambers of commerce, historical and cultural societies, and the University of Maine at Fort Kent. We often forget that there exists in our region a vibrant and extremely popular Acadian community. Its not only in Louisiana that we find Acadians in the United States. "Maybe we havent voiced our presence loudly enough to the Francophone world. "We believe that securing this nomination would definitely solve that problem, said Louise Martin, manager of the Maine Acadian Heritage Council. The economic impact on for the State of Maine would be great, as this event would be the most important socio-economic, cultural, and touristic event in the history of northern Maine, not only bringing together over 20 municipalities and numerous associations, but bringing 30,000 to 50,000 visitors from all around the world. "This event would become a common project for a whole region, uniting the international border and giving us worldwide exposure. "It is important that the St. John Valley gain financial support, not only from the municipalities throughout the St. John Valley, but statewide, in order to demonstrate to the National Society of Acadia (Société Nationale de lAcadie) its seriousness about hosting the 2014 World Acadian Congress. "Cultural and historical events, along with numerous family reunions, would be highlighted during a month-long summer event in 2014, said Martin. An informational meeting open to the public will be held at on Thursday, Jan. 8, at the University of Maine at Fort Kent, Nadeau Hall, 6:30 p.m.
It is very important to note that it is a region and not just a county that is making its intention known. "The upper St. John Valley on the American side and three counties in New Brunswick (Madawaska, Victoria, and Restigouche) are presenting a united front in the hopes of being selected, noted Hugues Chiasson, president of the Committee for the promotion of Acadia of the Lands and Forests. Geopolitically, our region is the only one in Acadia with international ties which hopes to organize and host an Acadian World Congress. Chiasson said the deadline to present the declaration of interest document was November 30. The Société Nationale de lAcadie, the organization choosing the host town or region for the World Acadian Congress, will make its decision known in August. Chiasson stresses the contribution of Étienne Deschênes, producer of the show LAcadie des terres et des forêts en fête to this project. The Congrès Mondial Acadien is held every five years in a part of North America where Acadians have settled. In 2000 in was in southern Louisiana, in 2004 it was in the Clare region of Nova Scotia and in 2009 it will be in northeastern New Brunwsick known as the Acadian peninsula. The event usually lasts several weeks. Above-noted is reproduced with permission of the St. John Valley Times, a division of Cleveland Newspapers, Inc.
DIEPPE (New Brunswick), October 22nd, 2008  The Société Nationale de l'Acadie (SNA) is reminding regions interested in hosting the Congrès mondial acadien 2014 (World Acadian Congress) that the deadline to submit their declaration of interest is approaching fast. The regions that wish to present their nomination must do so no later than midnight, November 30th, 2008 (Atlantic Standard Time). The regions interested in organizing the 5th edition of the Congrès mondial acadien (CMA) must first submit a declaration of interest in order to be considered for the following stage of the process. The regions will then have until March 2009 to submit their official nomination. The selection process will take place during the following months and the official announcement of the host region of the CMA 2014 will be done in August 2009 at the Congrès mondial acadien, in New Brunswicks Acadian Peninsula. Mrs. Françoise Enguehard, chairperson of the SNA, is enthused by the interest shown by the various regions to hold the Congrès. "We havent received a formal declaration of interest yet, but we already know that several regions will be competing to host the CMA 2014. This shows that the event raises a lot of interest in the Atlantic Provinces, but also around the world. In less than two decades, the Congrès mondial acadien has become an international institution and the SNA is particularly proud to be the guardian of this event and of its future," says Mrs. Enguehard. In June 2008, the SNA introduced a new guide for the regions aspiring to host the event. The guide is designed to assist the regions in the preparation of their nomination. It includes details on all the elements that are subject to evaluation within the selection process. One will recall that in 2001, the SNA accepted the mandate to ensure the continuity of the CMA by developing the necessary tools for the selection of host regions including an assessment guide and a memorandum of understanding to be signed between the SNA and the host region. As part of a Louisiana Association of Convention and Visitors Bureau promotional tour, tourism industry representatives from South Louisiana will be visiting Nova Scotia and New Brunswick to promote Lafayette, Lafourche, Jeff Davis, St. Landry and Terrebonne parishes as well as the Creole Nature Trail, the Southwest Louisiana and Alexandria/Pineville areas. The objective of this tour is to promote local Louisiana attractions to their Acadian cousins. Grammy nominated Pine Leaf Boys will accompany the tour and will encourage Acadians to discover more about Louisiana culture including great new Cajun and Creole music. With the youthful and energetic band in tow, the group will tour the area, host public events and prepare gallons of gumbo from August 2th to 7th. As well as meeting with local and regional media, the group will also be sponsoring Cajun music nights at the Festival acadien de Clare (August 2), Dieppe's Mercredi Show (August 6) as well as the Festival acadien de Caraquet (August 7). Accompanying the delegation are organizers of the bid to host the 2014 Congres' mondial acadien (World gathering of Acadians) in Louisiana. MEMRAMCOOK (NEW-BRUNSWICK) June 2008  The Société Nationale de lAcadie announced today the official call for nomination for the 2014 Congrès mondial acadien. During a media conference held at the Monument Lefebvre, a symbolic Acadian venue in Memramcook, New-Brunswick, the SNA officially announced the call for nomination to all regions that might be interested in organizing the 5th edition of the Congrès mondial acadien. The SNA introduced at this conference a new guide for the regions aspiring to host the event. The guide is designed to assist the regions in the preparation of their nomination. It includes details on all the elements subject to evaluation within the selection process. A time line for the selection process of the next host region was also announced. With this tool in hand, potential organizers will be able to draw up a precise critical path to the event. The deadline for filing the declaration of interest for the regions interested in hosting the next CMA is November 2008. The candidate regions will then have until March 2009 to submit their official nomination. The selection process will take place during the following months and the official announcement of the host region of the CMA 2014 will be in August 2009. The SNA also created during the past year an internal committee that reviewed the evaluation criteria to ensure they were up-to-date. The committee also wrote a new policy for the Congrès mondial acadien, which was adopted by the Board of Directors of the SNA last May. The chairperson of the SNA, Mrs. Françoise Enguehard, qualified this announcement as exhilarating. "This is excellent news. In less than two decades, the Congrès mondial acadien has become an international institution and the SNA is particularly proud to be the guardian of this event and of its future", she explained. One will recall that the SNA accepted in 2001 the mandate to ensure the continuity of the CMA by developing the necessary tools for the selection of host regions including an assessment guide and a memorandum of understanding to be signed between the SNA and the host region of the CMA. The Société Nationale de l'Acadie is a non-profit federation that includes the four francophone representative associations of the Atlantic Provinces and the four youth associations. Its mandate is to represent the Acadian people on the Atlantic scene and both nationally and internationally. La fondation de la Société Nationale de lAcadie remonte en 1881, lors de la première convention acadienne tenue à Memramcook, au Nouveau-Brunswick. Près de 5000 personnes de tous les coins de lAcadie avaient participé à cette réunion. On créa alors lorganisme, la Société Nationale lAssomption. De 1881 à 1955, la Société Nationale lAssomption a tenu onze grands congrès, à des intervalles variant de trois à dix ans. Les questions débattues touchaient, entre autres, à léducation, lagriculture, la colonisation, la presse et les problèmes de lémigration. Lors du 12e congrès général des Acadiens tenu le 22 juin 1957, à Memramcook, la Société Nationale lAssomption devint la Société Nationale des Acadiens. Pour la première fois de son histoire, lorganisme eut alors un secrétariat permanent et un Conseil Général qui se réunissait annuellement. Son rôle était de voir à la défense et à la promotion de la vie française en Acadie. Elle desservait les Acadiens et Acadiennes des trois provinces maritimes. Son premier bureau permanent ouvrit ses portes le 1er août 1958, à Moncton. Le projet de loi dincorporation de la SNA reçut lassentiment de Fredericton, le 11 avril 1959. Vers la fin des années 1960 et le début des années 1970, avec lémergence des différentes associations acadiennes provinciales, la Société Nationale des Acadiens diversifia un peu ses actions et, en plus de travailler sur des dossiers interprovinciaux, commença à développer des liens sur la scène internationale, plus particulièrement avec la France. Elle devint alors une fédération formée des trois organismes provinciaux: la Société des Acadiens du Nouveau-Brunswick, la Fédération Acadienne de la Nouvelle-Écosse et la Société Saint-Thomas dAquin. En 1986, les Francophones de Terre-Neuve-et-Labrador, par le biais de leur association provinciale, la Fédération des Francophones de Terre-Neuve-et-Labrador, devinrent membres de la Société Nationale des Acadiens. En 1988, cest au tour des quatre associations jeunesse provinciale dadhérer à la Société Nationale des Acadiens. En 1994, lassociation française, les Amitiés Acadiennes, dont le siège social se trouve à Paris, devient membre associé de la SNA et en 1998, ce fut le tour de la corporation culturelle Arrimage, des Îles-de-la-Madeleine. La Corporation des Acadiens aux Îles remplace cette dernière au sein de lorganisme et deux nouveaux membres associés, soit Action cadienne et lAssociation St-Pierre et Miquelon/Acadie, joignent les rangs de la SNA en 2001. La Société Nationale des Acadiens devient la Société nationale de lAcadie le 23 mai 1992, soit lors de sa première assemblée générale annuelle tenue dans la province de Terre-Neuve-et-Labrador. En juillet 2005, la SNA devient officiellement une organisation internationale non-gouvernementale accréditée du statut consultatif auprès de lOrganisation internationale de la Francophonie. Ce nouveau titre permettra dorénavant à la SNA de prendre sa juste place dans la Francophonie internationale.